The best dentist I have ever had. Dr. Walicki is professional, so gentle and caring it's impossible to feel uncomfortable like we do most of the time when going to the dentist. No stress either. I wish I found the doctor years ago. I would smile more often today. I can't forget about the crew. They are very nice and caring. You will feel like you are the most important patient for them and Jenny is such a sweetheart. Wonderful job guys, I love you and I will always recommend Dr. Walicki to my family and friends. Thank you for everything. Dr. Walicki is a very nice person besides being a skilled dentist. I've learned how to take care of my teeth a lot better with his help and that of his staff. I have been a patient of Dr. Richard Walicki for years and just wanted to take a moment to let other people know what a great dentist and person he is. And his staff is outstanding. Dr. Walicki actually leaves you willing to come to your next scheduled appointment. The staff is pleasant and the service is lovely. It rocks! 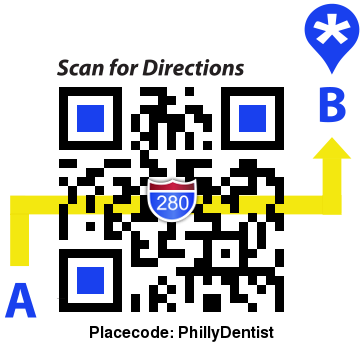 In my opinion, you cannot find a dentist who is more understanding than Dr. Walicki. He treats his patients with respect and dignity. He is the best in every respect, both professionally and personally. I want to thank you and Dr. Walicki for being the best people I have come across in a long time. Just a note to say how wonderful treatment was on both of my visits. Dr. Walicki is the gentlest, most thorough dentist I've ever been to. In addition, he left nothing unexplained. -- A very pleasant change from other doctors I’ve encountered. I cannot imagine ever going to another dentist. My (mini) implants were the best solution for me. I would never go back to the old bottom plate. I have never had any problems with them and I would recommend them highly. My experience here has been the best ever! I’ve always been hesitant to go to a dentist, but after coming to see Dr. Walicki he made me feel at ease. He’s a very thorough and exceptional person, with a more than exceptional staff! Thanks for everything! Great Dentist. Very humble. The last dentist didn't take as many Xrays as appropriate. Dr. Walicki gave me a slideshow finding tartar and possible gum disease. I was bewildered as my old Dentist just basically rushed me in and out stating I was fine. Dr. Walicki was very thorough. I decided to give him much more additional work. He basically saved numerous teeth of mine. Great Guy. He is very thorough and patient. He eased all my dental office fears. Thanks doc. I've been a patient of Dr. Walicki's for close to 20 years and have never been less than satisfied with the care. His office is a very efficient one, complete with a wonderful and friendly staff. I take great comfort in knowing that Dr. Walicki is my dentist. Anybody out there looking for an excellent, top of the line dentist -- well I finally found one, and believe me it took a long time. First, when you call his office you'll talk to Jenny, the nicest medical receptionist you will every talk to, she will walk you thru appointments nicely. When you meet Dr. Walicki you will feel you made the right choice the way he does his examination -- honest, trustworthy, not pushy, super friendly. I don't usually write reviews, but for this doctor I had to make an exception. Dr. Walicki is that good. I am a patient of Dr. Walicki's and his professionalism, honesty, and gentle oral care has kept me a customer for over 10 years. Even after moving farther away, I feel I could not ask for a better dentist! His services are offered at a reasonable price, and the friendly staff make all the scare about going to the dentist melt away. Best dentist I've ever had. Highly knowledgeable and cares greatly about his work. Offers natural and diet-based information as a remedy, along with dental and practical advice. All around top-notch service. Convenient hours to almost any schedule. And he's a super nice guy. What more do you need? Excellent dentist. Very nice place for your dental needs. That tooth must just brighten up all the other teeth. People say WOW, your Dr did a great job. Then they show me the job done on their teeth . I was even asked by a friend, who never compliments me, what does your Dr do to your teeth to make them look so good! Thank u Dr Walicki for making me look good! Toothwiz.com is very pleased to announce that the practice of Dr. Richard Walicki transferred ownership to Dr. Shaun S. Lavallee on January 17, 2018. Please click through to get the important details.